← Shappi Khorsandi: Because I’m Shappi.. In a break from visiting comedy shows at the Edinburgh Fringe I took the short train ride (15minutes from Edinburgh Haymarket) to the delightful Linlithgow Palace. This was the birthplace (8 December 1542) of Mary Queen of Scots and home to numerous kings and queens over the centuries. It was infamously burnt down in a major fire in 1424 and the roof fell in literally. It was wholly preventable though for reasons which the tour guide explains. Tours last 30 minutes are run frequently throughout the day. Inspite of the fire there is much to see and admire in this splendid old ruin of a palace. 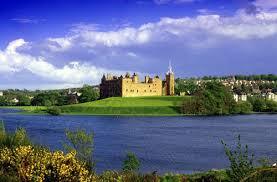 The Linlithgow loch and peel (royal gardens) surrounding it are breathtaking beautiful. People were out boating and children were enjoying themselves in the gardens. The park was also being prepared for Party in the Park (9-10th August 2014) featuring some of Scotland’s biggest bands such as Deacon Blue. Adjacent to the palace is the Parish Church of St Michael’s. Built in 1242 and where Mary Queen of Scots was baptised, this church is undergoing renovation, but it is highly impressive inside with a real feel of history about it. An exhibition I visited at Glasgow’s Museum of Modern Art (GOMA) featured a stunning collection of cardboard replica’s of all 286 Edinburgh churches. This is well worth a visit if you’re in the area or nearby Edinburgh or Glasgow. If you have visited Linlithgow, we’d love to read your opinion on it. Feel free to post your comments directly onto our blog. Follow Tiemo on Twitter and sign up to receive the latest Tiemo Talk of the Town reviews and blogs. 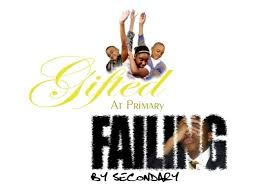 This entry was posted in Edinburgh Fringe 2014, Education and tagged linlithgow, linlithgow palace, st michaels church. Bookmark the permalink.